 Get your automotive shop press and bearing presses here at ASEDeals, where your find the best products from the finest manufacturers at the lowest sale prices. We've got you covered with AFF, Hein-Werner, Omega, Ranger and Zinko. Models range from 10 Ton all the way up to 100 Ton, with manual hydraulic, air and even electric options. Hein Werner model HW93401 55 Ton Air Shop Press. Assembled in USA. The AFF Heavy Duty 12 Ton Shop Press Model 812 is designed for light duty applications in a smaller auto shop. No automotive garage should be without a hydraulic bearing press. Most are powered by hydraulics, but some are powered pnuematically, and others are electric. You may want to get an air press if you are performing repetitive high volume work and speed is important. Same with electric. Most automotive shop owners will get a hydraulic press. Hydraulic presses are the most affordable option. No matter which option you choose, presses are an invaluable tool that will allow you to perform all kinds of various tasks quickly and easily, including straightening or bending steel components, installing gears, bearings, U-joints, and other various parts, bonding parts, wrist pins, and so many other important jobs. We shopped around the world to find you the best auto shop presses from the finest manufacturers at the best possible prices. We carry four great lines of air hydraulic shop presses that can not be beaten when it comes to quality, features and price.